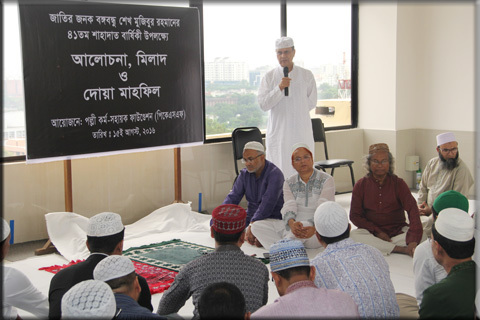 Palli Karma-Sahayak Foundation (PKSF) observed the National Mourning Day on 15th August, 2016 on the occasion of the 41st death-anniversary of the Father of the Nation Bangabandhu Sheikh Mujibur Rahman. A milad mahfil followed a brief discussion session. 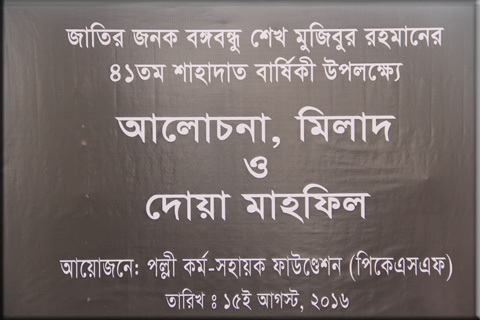 The speakers highlighted on Bangabandhu’s glorious political life and his paramount contribution towards the founding of the nation. A large number of PKSF officials and staff of all rank and file attended the assembly. Dr. Qazi Kholiquzzaman Ahmad, Chairman, PKSF; Mr. Md. 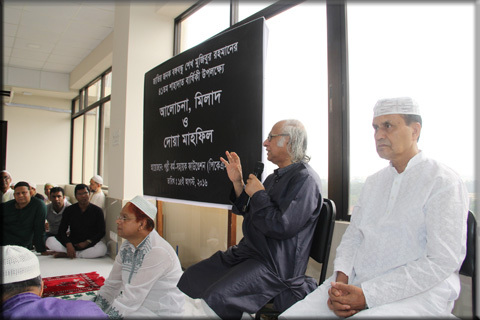 Abdul Karim, Managing Director, PKSF including other high officials and employees of PKSF joined the milad mahfil to pay homage towards Bangabandhu and other martyrs of 15th August 1975. Dr. Ahmad remarked that, PKSF is following the spirit of the Liberation War of 1971 which is rooted in the ideology of Bangabandhu. Mr. Karim expressed his reverence towards the Father of the Nation for the sacrifice he made for the nation. With due solemnity, the milad mahfil was held before Zuhr prayer. 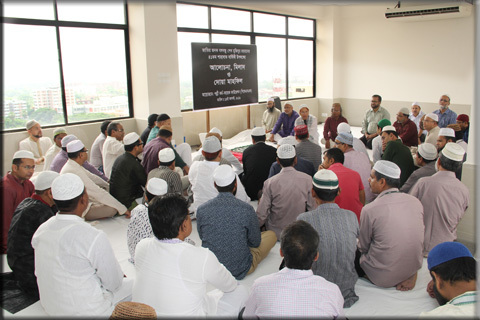 Later, a special munajat was offered seeking eternal blessings for the departed souls of Bangabandhu and his martyred family members.